It has been bitter cold here this week. 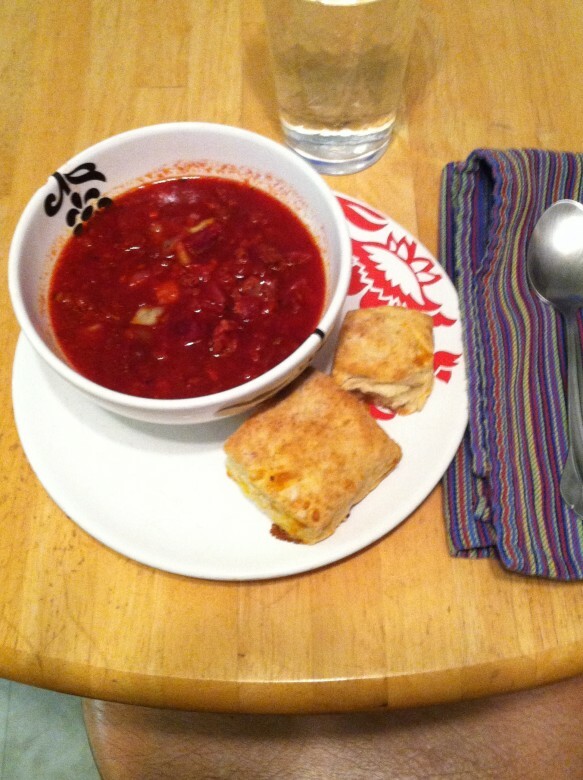 On the coldest day I decided to "beet" the chill by making this spicy Borscht. I had made this version a couple of years ago and had remembered it fondly ever since. 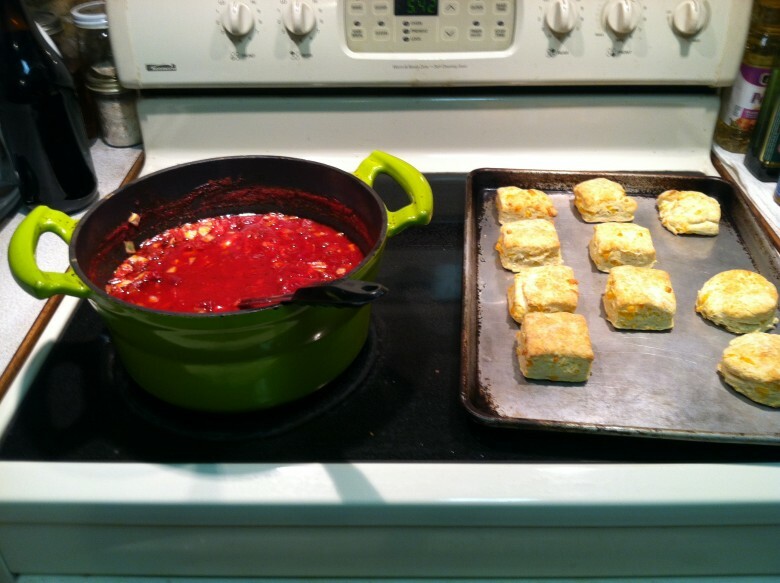 Usually I am a big fan of a meat free Borscht, of which there are a zillion recipe variations. But this one fit the bill exactly when it was 9 degrees out with 25 mph winds. Brrrrrrrr! I have always made it with hot Italian sausage but there are other options listed below if you would rather make a more mellow version. This is from the Joy of Gardening Cookbook by Janet Ballantyne. In a large soup pot, brown the sausage, breaking it up with a spoon. Drain off all but 3 tablespoons of fat. (I didn't need to drain any off with the sausage that I used.) Saute the onion and garlic in the fat until limp, 3-5 minutes. Add the beets, tomatoes, water, wine, lemon juice, brown sugar, and seasonings. Simmer the soup for about 1 hour. Add more water if needed. Season to taste with salt and pepper. During the last 10 minutes of cooking, add the cabbage. Remove the bay leaves and serve with a dollop of sour cream or plain yogurt.